Fans of 1980’s television show Auf Wiedersehen, Pet have received a welcome boost in their bid to save a country pub which featured prominently in the second series of the comedy drama… thanks to our team. As a gesture of goodwill, we have teamed up with the fans consortium to provide vital legal advice on a pro bono basis and help save the future of the Windmill Inn, in Redmile, Leicestershire… better known to viewers of the ITV show as The Barley Mow, the pub where the seven lead characters stayed while renovating ‘Thornley Manor’. We have agreed to provide advice on the structure of the bid by the fans consortium, who are attempting to raise up to £500,000 to buy the pub. The current owners are retiring and residents who frequent The Windmill, in Redmile, are worried the site may be looked at for housing development. The pub has now been listed as an asset of community value (ACV) under the Localism Act 2011, which operates to allow a community interest group like the fans consortium the opportunity to submit a formal bid to purchase. John Devine, Partner and Head of Charities said, “When we heard about the plight of the locals and ‘The Barley Mow’s’ uncertain future we decided to offer our legal expertise and advice in this specialist area. In view of the circumstances, we are delighted to help the fans group to structure their bid. We have agreed to assist the fans to form a community benefit society, then assist them with a community share issue. 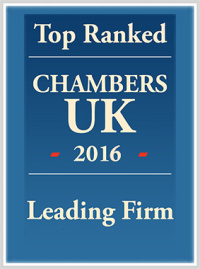 We are ranked in Tier 1 by the UK Legal 500 in Charities and Social Enterprise. Our partner, Joanne Davison, is highly regarded in this niche area, having assisted several groups in similar positions previously with community pub ventures. For example, The George & Dragon in Hudswell, North Yorkshire called time in 2008 and was rescued by villagers with assistance from Joanne in 2010. In the space of just a few years following a similar restructure, it has now been voted National Pub of the Year 2017 by the Campaign for Real Ale (CAMRA). Lee Barratt, from the Official Auf Wiedersehen, Pet fan site, said: ” I am delighted to welcome a well respected North East law firm like Muckle on board with the bid. 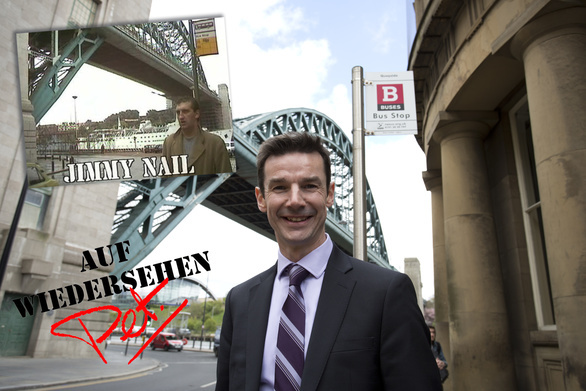 Their expertise in this area is second to none and clearly shows their understanding of what Auf Wiedersehen, Pet means to people throughout the world, not just in the North East. “As the manager of the Auf Wiedersehen Pet fan site, I really appreciated John’s help in getting the fans’ bid started. I hope they are now able to buy this famous location pub with Muckle’s guidance. Keeping it open is a must. “It’s not only Auf Wiedersehen Pet’s most visited location, but also an award winning gastro pub and the heart of the Redmile community. “The consortium project is now being led by David Norris and has no desire to radically change how it’s run, just to create a community hub we can all preserve and enjoy.” he added. A small group of locals want anyone wishing to buy the pub to offer their “passion and support” to anyone who wants to take it over and keep it as a “destination pub”. The pub was seen in the classic TV show Auf Wiedersehen, Pet as The Barley Mow, managed by the cantankerous landlord, Arthur Pringle (played by Bryan Pringle) and is often visited by fans of the comedy-drama. In an open letter they have written to anyone considering buying their local: “As a local community we wanted to make sure that any potential owners could have no doubt about our passion and support for our local pub. Simon Gates, an accountant from Redmile, said the open letter has been supported by more than 100 locals. “The owners have been trying to sell for a couple of years,” said the 44-year-old. “Living in a rural area means we don’t have that many amenities and the pub is the heart of the community where people can socialise. For more information on how we can help your business, contact John Devine on 0191 211 7905.